Another way to stay cool: decorative Can Coolers that will keep your drinks ice cold (or hot) on the go. 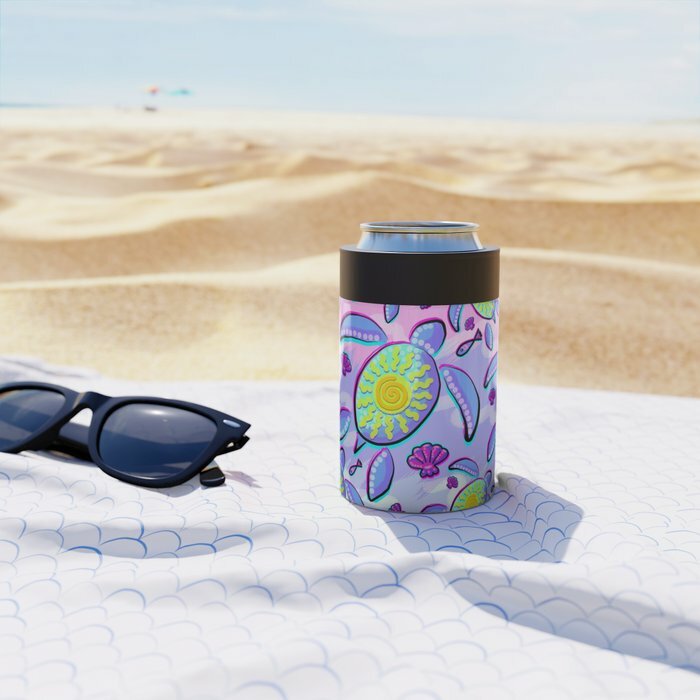 These coolers are made of lightweight stainless steel, fit in almost any cup holder and feature wraparound designs — they’re both practical and pretty. 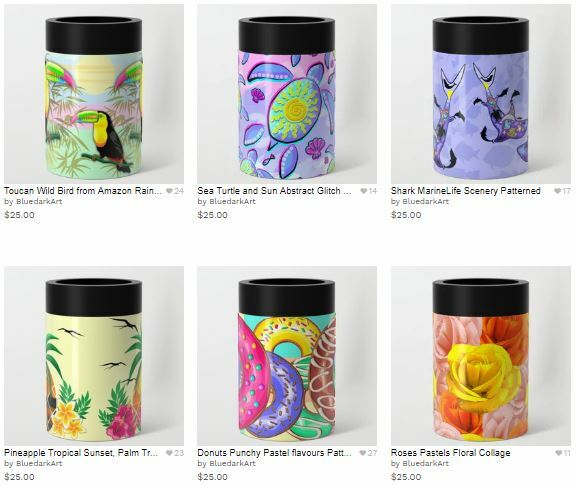 Try searching for your favorite patterns or colors and ditch that plain Thermos. This entry was posted in shopping and tagged bluedarkart designer, brand new products, can coolers, cool designs, cool gift ideas, cool stuff, design trends, Donuts Punchy Pastel Flavours Pattern, drinkware, gift ideas, new product, original gift ideas, pineapple sunset palm tree and flowers, Roses Pastel Colors Floral Collage, seaturtle glitch ultraviolet, shopping online, society6 shop bluedarkart, summer designs, summer gift ideas, summer shopping, TheChameleonArt Design, toptable, Toucan Wild Bird from Amazon Rainforest, Trends, unique gift ideas. Bookmark the permalink.